1. Decrease the vehicle speed to less than 5 km/h (3 mph). 2. Shift into N (Neutral) position. 3. Release the clutch pedal. 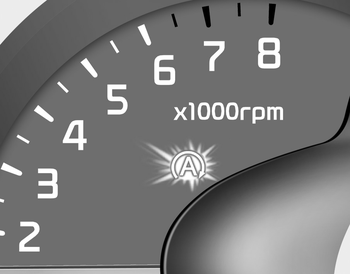 The engine will stop and the green AUTO STOP( ) indicator on the instrument cluster will illuminate. 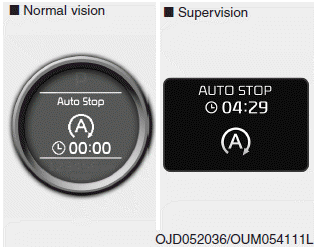 Also, a message "Auto Stop" will appear on the LCD display. You must reach a speed of at least 10 km/h (6 mph) since last idle stop. 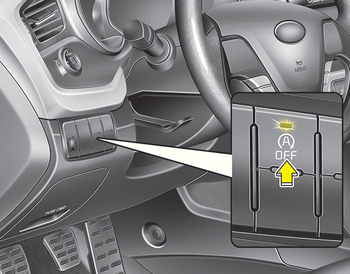 The ISG system will deactivate (the light on the ISG OFF button will illuminate). 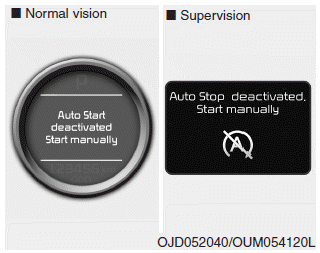 A message "Auto Start Deactivated Start Manually" will appear on the LCD display.